I recently had the pleasure to escape from crazy Sydney for a creative day in the beautiful Southern Highlands. A few months ago, I was commissioned to write the copy for a new website for a farm in Moss Vale. 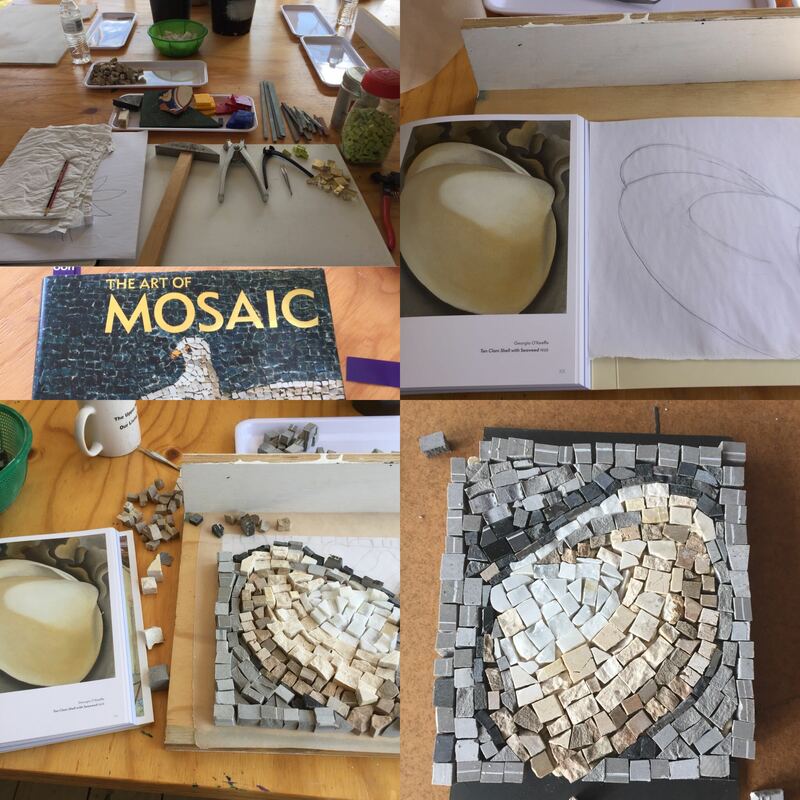 I learned about the history of Ashton Park, visited the owner onsite, and wrote about some of their upcoming workshops, one of which was the Mosaic Making Workshop I attended recently. Together with three other women I spent a wonderful day in an inspiring setting (we worked in the farm's light-filled art studio) surrounded by other creative souls. I realised how much I enjoy doing something with my hands, exploring new things (this was my first attempt in mosaic-making) and surrounding myself with like-minded people. After six hours of selecting bits and pieces of limestone, travertine, and marble to create the design I had chosen, I drove home with a finished piece that I am very proud of. It still needs some final touches, but I feel I accomplished something that I have never done before, which is a great feeling! 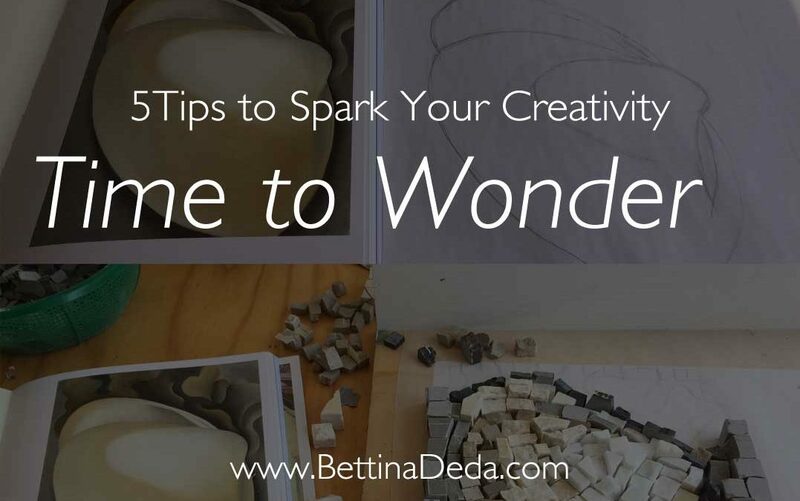 On my two-hour drive home, I reflected on the day and decided to write this post about some tips to spark your creativity. Try some or all of them if you feel stuck in your daily life, a project you're working on, or if you just need a change from your routine. Therefore, my tip number one is to engage with art; even if you think you are not creative, which is only an old belief you are holding on to. Try one or all of the following five things to spark your creativity. 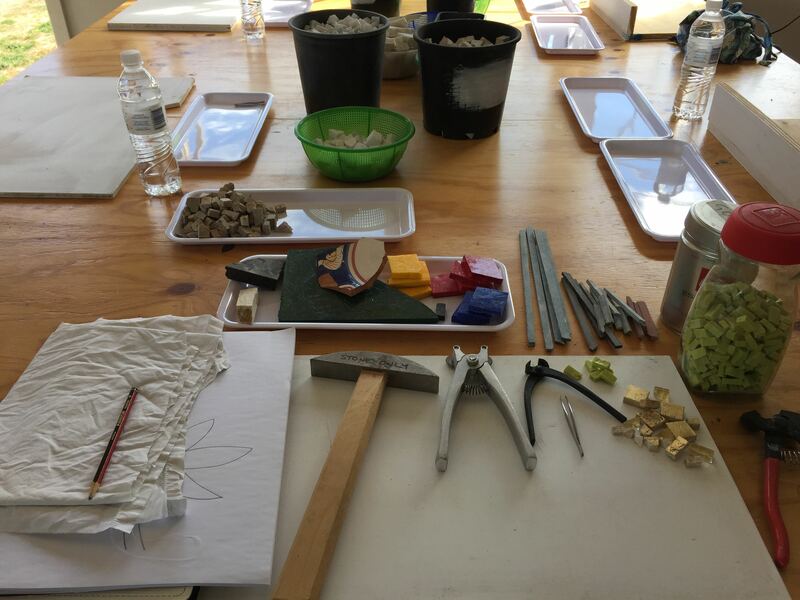 Mosaic-making tools in the art studio at Ashton Park. To observe art helps to reset your brain and take a break form our daily life. And this alone can trigger new ideas. Walking in fresh air is one of the best creativity boosters. I have heard it many times from creative people and experienced it myself over and over again. When I am stuck with a piece of work or a project in my business, I go for a walk. I trust that I will find a solution – and this is what happens most of the time. Letting your mind wander and wonder – while appreciating the beauty, sounds, and smells of nature – will offer you a solution to your problem. Sometimes, it doesn't come straight away, but trust the Universe will guide you when you put your question out there. Even if you are more creative in the evenings try and wake up an hour earlier to prepare yourself for the day ahead. You might just want to wake up slowly and go through your daily activities. Think about how you want to feel today and set your positive intention. Use the quiet morning hours to write down positive affirmations. Writing a journal or Morning Pages can be a deliberating exercise. Let your thoughts flow out of your brain and onto the paper, no matter how weird or unstructured they might be. Do this for 20 minutes to empty your mind and to start the day with a de-cluttered brain. 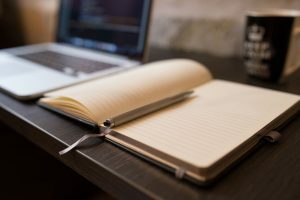 I have been writing a journal for quite a while and noticed that I often get new ideas while writing down random stuff. I also include things that I am grateful for. If you think about three things every day that you are grateful for, your brain will start looking out for those three things during the day. From the inspirational image (a painting by Georgia O'Keeffe) to the finished mosaic. To keep our mind healthy we need to keep our body healthy. This is again a question of prioritising. Make time to exercise on a daily basis. I have been practising yoga for seven years and can’t imagine my weekly schedule without it. Apart from building up strength and flexibility yoga has helped me to step out of my comfort zone, become more courageous and creative. Mindful activities, such as yoga and meditating, increase the dopamine level in your brain and will help you start your day in a positive mood. I experience this over and over again when I leave the yoga studio in the mornings. I feel calm, positive and prepared to make most out of my day ahead. 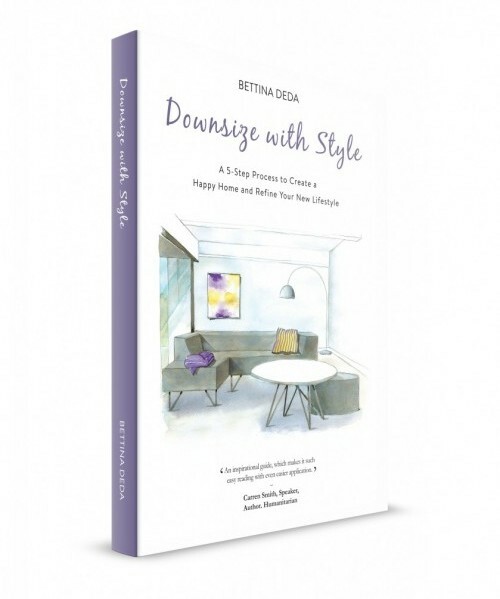 Practising detachment and equanimity, which is a constant challenge, has influenced my level of happiness. The happier and more content you feel, the better your creative outcome will be. In times of information overload – followed by decision-making overload – it is vital to establish systems in the physical world that help us relieve our brain from the burden of trying to remember everything. Often, the most creative ideas come to me at places where I would not expect them. In order not to forget your flashes of genius you need to capture them somehow. A few years ago I came across a notebook called 3 am. I bought it and placed it on my bedside table. When I wake up with a new idea for something I am pondering about for a while – private or business-related – I jot down my thoughts in this notebook. Working with notes and lists is a clever way to stay organised and in control of our daily tasks and creative ventures. What are your tips to stay in the creative flow? and created a way to adapt them to a modern reference point – Georgia O’Keefe. The result is fantastic – I look forward to seeing the final touches. 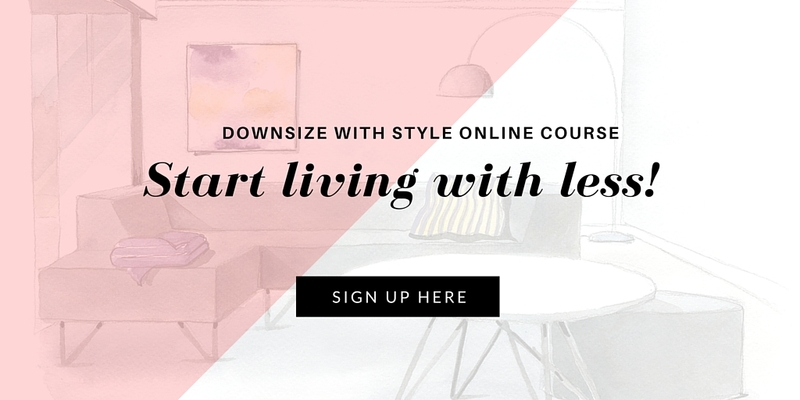 Thanks for joining the workshop – and thanks for your wonderful writing and guidance on our Ashton Park Moss Vale website. Hi Peta, my pleasure! Looking forward to another of your inspiring events. Will post the final work once finished.